John the Rogue Demon Hunter has issued the call! 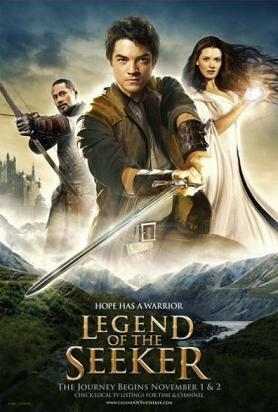 I love the show Legend Of The Seeker and would like to see the show continue. I know the show has been given a second season but we need to act as though the show is in trouble before it is in trouble of being canceled. If you are a fan and have access to video footage(I am decabled and dont have access) start making some vids and promote the show. Lets increase the audience before that season two premiere. Discus amongst yourselves on When Giants Walked Community here. Let's get this done! That is a really good idea. We have to do everything in our power to spread the word and Vids are a great way to do it. Personally, I would love to see a Vidders guild where vidders can get together to share tips and tricks and take requests from untalented folk like me. Would you be interested in anything like that?